We already know that spider silk is something of a wonder material, but scientists are still discovering more awesome things that it can do. An international team of researchers has found that spider silk shares a useful property with semiconductors—except rather than exploiting this to manipulate electrons, it can be used to manipulate sound and heat. It’s known as a band gap, and it’s what lets scientists effectively “tune” materials with this property for specific applications. Photonic crystals—opals are a naturally occurring example—do this for light waves. Phononic crystals do the same for sound, but this is the first time anyone has found such a band gap in this kind of material. Spider silk is as strong as steel and as stretchy as rubber, on a weight-to-weight basis. That’s why it’s inspired lots of synthetic materials mimicking those properties, such as Kevlar and nylon. Plus, spider silk is sticky (the better to catch unsuspecting prey), has natural antimicrobial properties, and is both hypoallergenic and biodegradable. Those nifty properties all arise from spider silk’s intricate crystalline structure. There are rigid layers to hold the silk together, soft areas to keep it flexible, and within those soft areas, places that enable the silk to stretch. Two proteins rich in the amino acid alanine are embedded in a jelly-like polymer make up the fiber, although another amino acid, glycine, makes up 70 percent of the material. One of those two proteins has a highly ordered structure, while the other has a less ordered structure. That tension between order and disorder gives the silk its strength and stretch. Spiders can also sense when a web is damaged, or when prey becomes trapped, via vibrations that travel through the web, just like sound waves move through the air. Apparently they can distinguish between different frequencies because of spider silk’s unusual dampening ability. When Thomas et al. 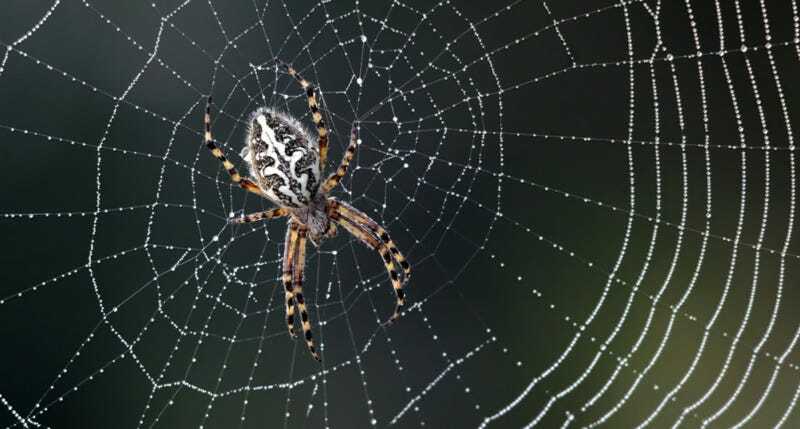 examined the microstructure of spider silk, they found that stretching or relaxing the softer chains that connect the harder protein crystals also changes the material’s acoustic properties. They could also control the position of the band gap, simply by changing the strain in the silk fiber. Spider silk can even be tweaked to have unusual thermal properties. 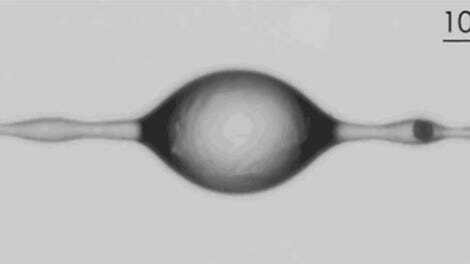 If scientists can replicate that crystalline microstructure that makes spider silk so special, it could translate into all kinds of interesting applications for new synthetic materials—waveguides, for instance, or materials that can dampen sound or provide insulation.